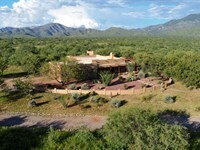 Outstanding 39.22 acre northern Arizona wilderness homestead set amid stands of native evergreens and lush grassy meadows. 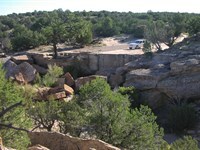 The property is the perfect blend of wooded building sites and open pastures. The soft sandy loam soil that covers the land is ideal for the planting of vegetable gardens and fruit tree orchards. Area growers enjoy abundant yields of a wide range of summer vegetables including lettuce, peppers, corn, peas, tomatoes, zucchini and carrots to name only a few. Fruit trees varieties that do very well here include apples, peaches, pears plums and apricots. 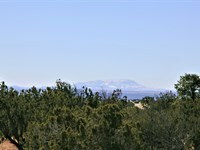 The property lies at a cool-clear 6,617' elevation. In this highlands region of northern Arizona, this does not mean hard cold snowy winters. Outdoor work is rarely curtailed due to the weather. The winters here are mild, typically producing less than 18 of snow most of which falls at a rate of two to three inches per storm and melts into the soil within a day or two. The average high temperature in the coldest month of January is 50 degrees under clear sunny skies. Summer temperatures are mild with daytime highs averaging in the upper 80's and dropping into the 60's at night. 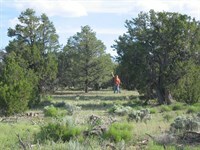 The topography of the acreage is gentle throughout. The only distinct contours are found at the crest of two ridgelines that cross through both the western and eastern portions of the tract. 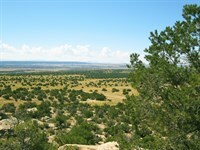 Several prime cabin sites are available along the crest of these ridges. Cabin decks and large picture windows will look out over thousands of acres of uninhabited wilderness free of urban noise and lights from these high set building sites. The eastern half of the land is predominately woodlands with a few small pockets of meadows opening up within them. 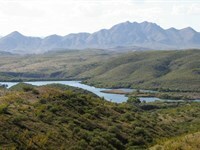 The western half of the land is a mix of woodlands and meadows. 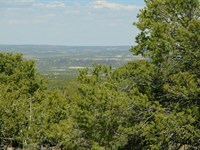 Meadows comprise approximately 10 acres of the overall ownership. Those placing a premium on privacy will enjoy the quiet backdrop that State Trust lands provide on both the southern and eastern borders of the acreage. Each State Trust section is 640 acres in size, measuring 1 mile by 1 mile square and in a totally natural woodland state. 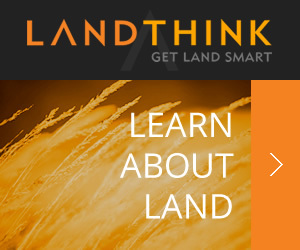 Private wells are allowed on this land. 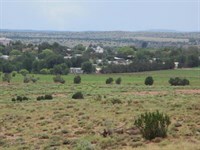 The property has a secure groundwater supply from its positioning over northern Arizona's largest fresh water basin the massive Coconino Sandstone Aquifer. Drilling depths are economical and windmill pumping common throughout the area. In addition, a free access well located a short distance from the land is available to the property owner 24/7 for water hauling. 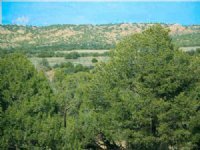 This is a secluded location and best suited for people seeking large acreage ownership well away from neighboring owners and who place a premium on the freedom to use and work their land in a wilderness setting free of urban noise and pollution. All corner markers have been set by registered surveyors and the recorded map with all property dimensions is provided to the new owners. The maintained road access to the property is built entirely along title insured easements recorded with the county recorder's office. 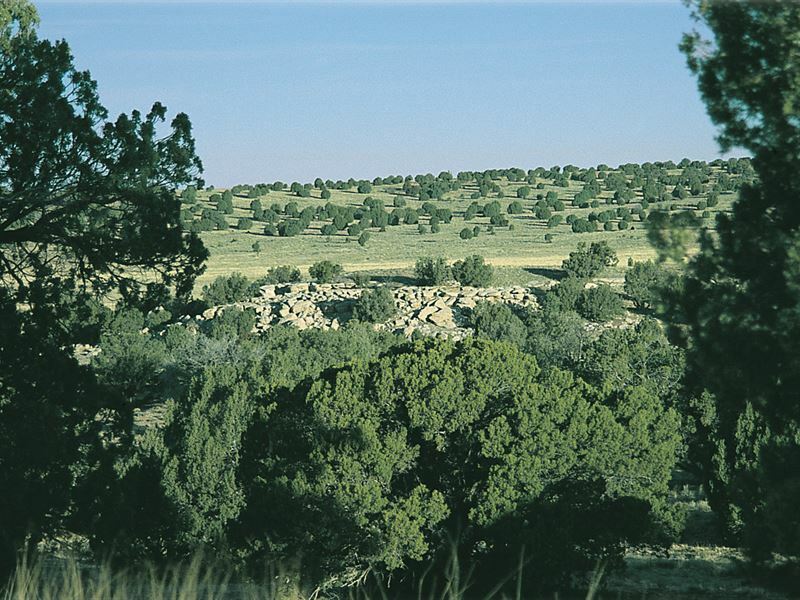 The residential, recreational and agricultural zoning allows livestock, camping and RV use at the owner's discretion. $39,600 with $3,960 down and monthly payments of $341 using the seller provided no qualifying financing.. Monthly payments are account serviced by First American Title, one of the nation's largest title companies. Call John Heltzel at for a free photo brochure including additional area properties, topographical map, monthly weather chart, and info on nearby lakes and historic town. 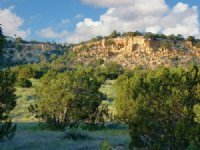 First United Realty is Arizona's largest provider of private land and has a wide selection of terrains and wilderness landscapes to select from. 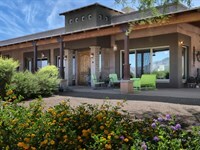 When calling broker, please say, "I found your listing Az Wilderness Homestead $341 Mo on FARMFLIP."